Django Django have signed to Ribbon Music in the US (congratulations, gentlemen), who will be releasing their excellent debut LP on September 25 / digitally on August 14. The group also have a new video for “Hail Bop,” which you can check out at the bottom of this post. 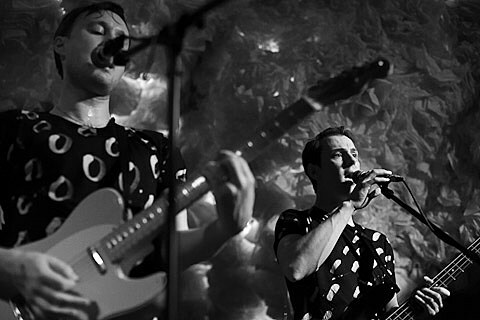 Django Django will embark on on a brief US tour in late-September, which kicks off with a two-night stand at Schubas on September 20 & 21. Tickets for both shows are not on sale yet, but check Schubas’ website for updates. UPDATE: Tickets go on sale this Friday (7/27) at noon CST.